Liverpool like may other major cities has always had its fair share of hostelries. Scotland Road was renowned for having ...a pub on every corner... whilst most other parts of the city also had their fair share of pubs. There was many a traumatised housewife on Friday night, wondering it an errant husband would make it home with his pay packet and if he would have the strength of character to pass the many pubs en route. But consider this, most people lived in cold damp and draughty homes, many in insanitary conditions, so the welcoming warmth of a pub and its coal fire was a great temptation. Vauxhall Road (East side from Naylor Street to Paul Street looking North) Shops, pawnbrokers but mainly pubs. 1869. If the temptation to spend some or all of their pay packet in a local pub was not bad enough, the temptation was increased with the sale of alcohol at football matches. The Church Temperance Society of the Liverpool Diocese has issued a circular letter to all the county and borough Magistrates in the diocese protesting against the granting of occasional licenses for the sale of intoxicating liquors at football matches, which is frequently done in various parts of Lancashire. Such licenses, they contend, are unnecessary and undesirable, as they would tempt many to drink, and unruly conduct would certainly be likely to occur, thereby bringing football into discredit. One of the first responses to the problems of excessive drinking in the 1800’s was the formation of temperance societies. These usually had a Christian base and were initially composed of people who took a pledge to abstain from spirits, e.g. whisky, and be moderate in their consumption of other alcoholic drinks. However, social and domestic problems caused by excessive consumption of alcohol in society at that time were considerable and there was controversy as to whether moderate drinking of any alcoholic beverage was sufficient to tackle the problem. In 1832 the ‘Seven Men of Preston’, including Joseph Livesey, signed a pledge to totally abstain from intoxicating beverages. 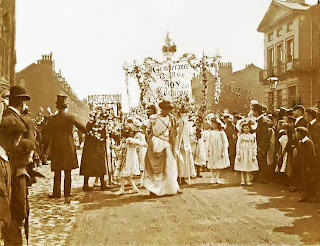 The idea spread and temperance societies sprang up all over Britain, encouraging people to help deal with the problem of alcoholism by saying that they would no longer drink intoxicating beverages. This was known as ‘signing the pledge’, as individuals were invited to sign a promise. This Movement was part of the Victorian Social Reform programme. ‘I, the undersigned, do agree that I will not use intoxicating liquors as a beverage’. 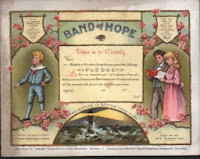 At around the same time other groups were starting the same kind of children’s clubs and many of them took the name ‘Band of Hope’, together becoming the Band of Hope movement. 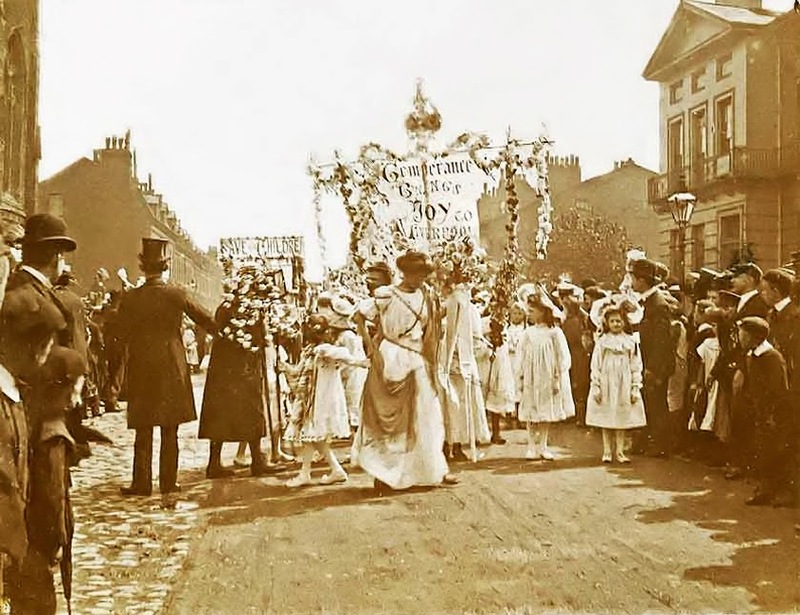 The Medical Officer of Health for Liverpool in 1899 conducted a survey among women in prisons to find the effects of a mother’s drinking on infant mortality. Out of 600 children of inebriate mothers, 335, including stillborn, died below two years of age. Further inquiries showed that in a series of cases of children born to drunken mothers, 55.2% of the children died under 2 years of age against 23.9% of children born to sober mothers in similar circumstances of life. Towards the end of the 19th Century the NSPCC, founded in Liverpool, produced a report on the maltreatment of children. In order to illustrate their findings they used an imaginary city of 500,000 people from various social classes and occupations with approximately 1/3 adults and 2/3 children. 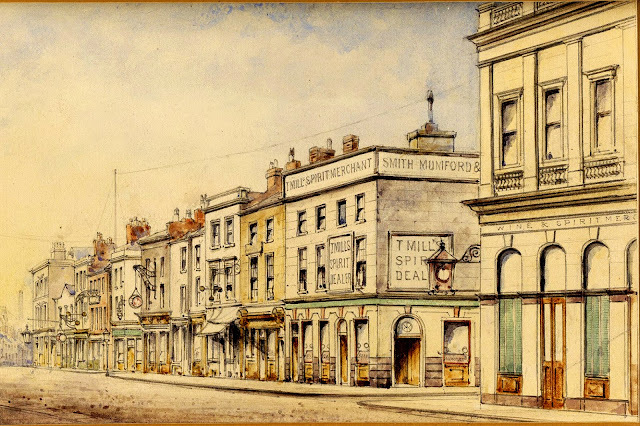 They concluded ‘One half of the streets of the vast place are inhabited by notorious drunkards’. They estimated that 50% of cases of cruelty were directly related to drink, and among the remainder there were bound to be indirect cases of cruelty as the result of drink. (quote from Drink in Great Britain, 1900-1979 Williams\Brake). At the turn of the century various reforms were made in Parliament with the Temperance Movement playing a very high profile in urging the bills through. In 1889 and 1894 the Cruelty to Children Acts established the right of the nation to give children the rights their parents had denied them. In 1901 the Intoxicating liquors (Sale to Children) Act was passed which prevented the sale of intoxicating liquors to children under 14, except in corked and sealed containers. 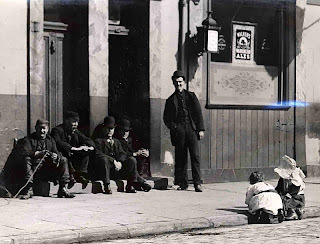 In 1909 another Act excluded children from such parts of licensed premises where consumption of liquor was the chief feature. 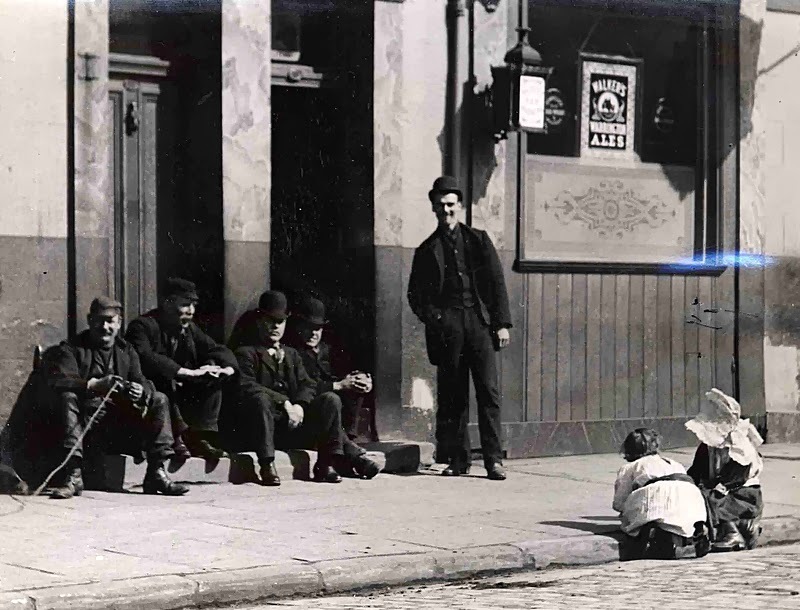 Newspapers reported that the Act had had a dramatic effect in almost all public houses and children were no longer to be seen with parents in the bars. From 1909 onwards the school syllabus included education on alcohol, its problems etc. Originally this included the promotion of ‘temperance’. The misuse of alcohol was thought to relate to the misuse of food. The educational approach today relates it to the misuse of drugs. 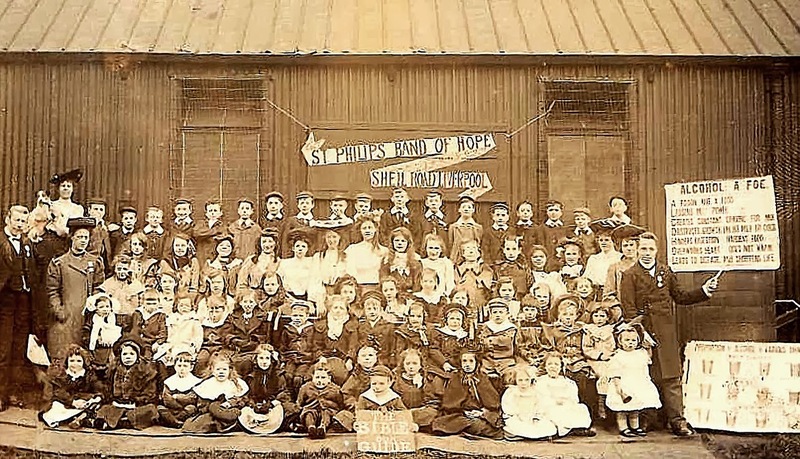 Recently, the United Kingdom Band of Hope Union has changed and adapted according to the social patterns within British society. This included changing its name in 1995 to Hope UK. 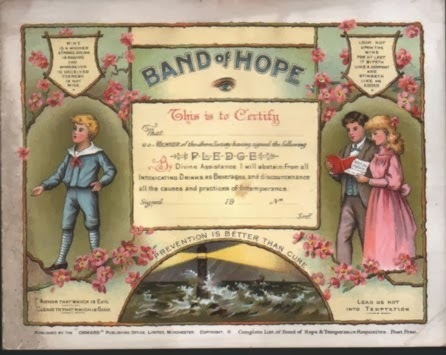 With the increased use of illegal drugs the Band of Hope had widened its field of education to include drugs other than alcohol. Its main emphasis now is on education and, while traditions like pledge signing and pageants of queens have ceased, it has begun to grow again in membership and works by providing trained Educators in a variety of settings. Literature is available and is used by many different kinds of groups. Hope UK works with many groups. Some are affiliated and date back to the formation of the Temperance Movement. Most, however, are children’s, youth or church organisations who want specialist help in providing Drug Education. The Voluntary Drug Educator scheme helps increase the profile and work of Hope UK, enabling it to continue to reach and encourage young people to make informed and healthy choices. Hope UK has also developed training for youth workers, parents and others who come into contact with young people, as well as for children (age 0-12 years) and those who work with them.